The Amy Winehouse Foundation will hold its first annual Amy Winehouse Inspiration Awards and Gala in New York City this October. The gala is set to recognize people who have helped “inspire greatness in others,” the foundation said. The Amy Winehouse Foundation is a nonprofit organization created by Winehouse’s parents, Mitch and Janis, after her untimely death at 27 years old in July of last year. One of this year’s award recipients will be singer Tony Bennett, who released the song “Body & Soul” as a duet with Winehouse on his Duets II album. 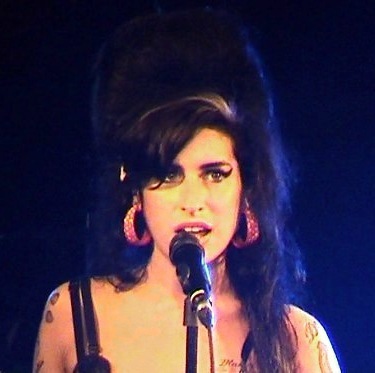 The single was the last song that Winehouse recorded before she died, and Bennett donated part of the proceeds from the release to the Amy Winehouse Foundation to help support music programs. At the time of Winehouse’s death, Bennett called her “an extraordinary musician with a rare intuition as a vocalist,” according to Spinner. “We feel that if you put a musical instrument in somebody’s hand, they’re never going to put a gun in their hands,” Mitch Winehouse has said. So far, the foundation has raised money to support the New Orleans Jazz Orchestra’s after-school programs as well as over a million pounds for children’s hospices in the UK. The U.S. branch, which was started in April, will focus on after-school programs and music therapy for children, reports Rolling Stone. The Amy Winehouse Inspiration Awards will take place at the Grand Ballroom of the Waldorf Astoria on October 11. ANDREW ROTHKIN & JOSEPH CONWAY JOIN NORMA JEANE, ENLIGHTENED.